One of Manila’s notorious and most wanted carnapping suspects was arrested in a hotel in Sta. Mesa on Wednesday after he posted on Facebook. Eduarson Baltazar has been on the criminal list because of his alleged involvement in several carnapping incidents around the metro. According to the Manila Police District (MPD), they have been monitoring and checking his whereabouts based on his Facebook posts wherein he could be seen carrying high-caliber firearms. Authorities found out that around 5 a.m. last September 23, Baltazar checked-in into a hotel and without wasting time, they immediately planned and executed an operation to arrest him. The MPD operatives recovered a .45 caliber gun and bullets and brought the suspect to prison. However, he blatantly denied the allegation of being involved in carnapping cases and swore that he did not do anything against the law. He even shared to the police officers that his dream in life is to join their ranks. The cops, however, did not buy his drama and reiterated that they have been investigating his case leading to his capture. 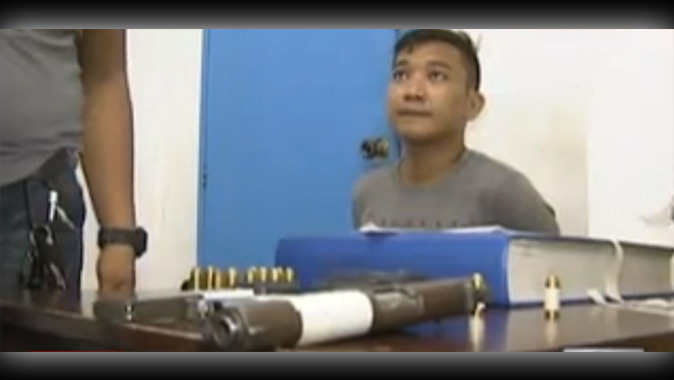 Baltazar will face charges on carnapping cases and illegal possession of firearms and ammunition. His brother, Edelson, is also a subject of a manhunt for a frustrated murder case.